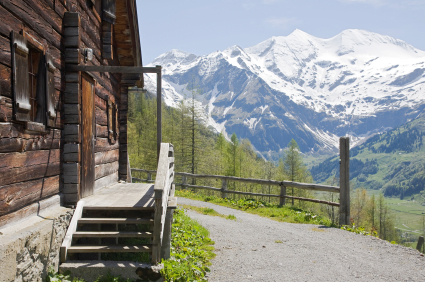 A cabin in the woods makes a nearly ideal setting for a conversation on topics that range from the general to the highly personal. This particular cabin is a small, rustic cottage with pine wood paneling and a stone fireplace, in the Blue Ridge Mountains of North Carolina, at an elevation of 4,800 feet. 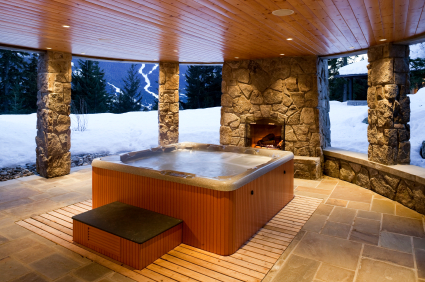 The setting offers a view to a distance of about one hundred miles, across thousands of acres of preserved forest as well as three ski slopes. “We just assumed all those years that we couldn’t have children. My father-in-law was a Baptist minister. After he retired, he was diagnosed with cancer. He passed away thirty days later, and about six months after that, my wife was pregnant. 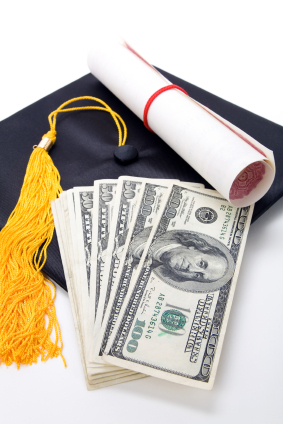 The most common methods used by families saving for college for their youngsters include traditional investment and savings accounts, UGMAs (Uniform Gift to Minors Accounts), and 529 college savings plans (so called after the section of the Internal Revenue Code that sets out the rules for this type of college savings; they are also known as qualified tuition plans). Not knowing at the time that there was a better way, the Lieblers started funding a 529 plan for Shelby’s college. 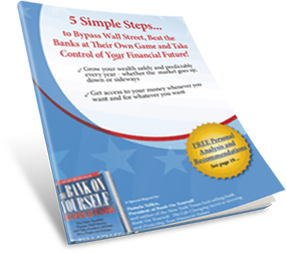 Have you received our FREE report detailing what Bank On Yourself is and how it works? Grab your free copy here! I had planned all along to fund it for four or five years at a certain rate, and put money from Grandma into it, too. My advisor said, ‘I’m not a big fan of these 529 plans because of the restrictions. They’re not very flexible.’ He’s right. Let’s say your child gets a scholarship. If you’ve got a 529 plan, you don’t need it anymore because of your child’s scholarship, but there are restrictions against using the money for anything but education. Or if Shelby doesn’t go to college, with her being an only child, my wife and I would have to go take some college classes with the money in a 529 plan, or wait until we’re fifty-nine and a half to avoid paying penalties. Using a Bank On Yourself plan to finance a college education gives you flexibility and many advantages you don’t get with a 529 plan, UGMA, investment, or savings account. Bill discovered still another advantage: If you want to apply for college financial aid for your child, the money in the B.O.Y. policy does not count against you for financial aid. This means that when you list your assets on the Free Application for Federal Student Aid (FAFSA), you could have $100,000 cash value in your B.O.Y. policy, or several hundred thousand, but it would not count against you for the purposes of judging whether you qualify for college financial aid or scholarships. The same amount of assets in regular savings accounts, UGMA accounts, stock market accounts, or real estate could make your youngster ineligible. Also, as mentioned earlier, when you take retirement income from a B.O.Y. plan, it’s not counted toward your earnings limit for Social Security-it won’t cause you to lose Social Security benefits. Bill continued, “It can be pretty daunting. One of my friends has done this in a very logical way. He and his wife have six kids. Three of them are out of college, one just finished, and the other two are finishing up. He and I have had some pretty long talks about that, and how they’ve been able to juggle things versus what the kids have taken on. He and his wife have struggled, refinancing the house and pulling out some money and also feeling uncomfortable that all six of his children are coming out of college with at least some degree of student loan debt and knowing that they’ve got to start their working life that way. It was a constant juggle of cash flow and making decisions about what they could and couldn’t do. It really produced a limiting factor on their lifestyle and budget. Not that they would trade it for their kids in any way, but that’s just the financial reality of the story. They had them go to state schools. They’ve done a lot of things, but you look at six kids times, who knows, $60,000? They’ve probably spent between $250,000 and $300,000 to send them to school. “I just borrowed $40,000 from my B.O.Y. plan; $26,000 of that we used to pay for the new car we just bought for my wife. We’re ‘drive cars until they die’ people and hers was eight years old. It’s pretty cool. It’s like writing ourselves a check every month. It’s not just that we’re paying ourselves back, it’s also an investment into our future. And what did Bill do with the remaining $14,000 he borrowed from his plan? The conversation then turned to the market conditions at the time of the interview, in spring 2008. Referring to the value of his stocks, Bill said, “It goes down by the day.” The comment led me to share a story about what had recently happened in my own household. One evening after dinner, I heard my husband, Larry, yelling from the den, “You’ve got to get over here, quick. I just can’t believe this. You’ve got to see this!” He was pointing at his computer screen looking like he’d seen a ghost. He had discovered that our pension plan had lost over $6,700 in just that one day. I had to grab the file I keep of annual statements from all eighteen of our Bank On Yourself plans and show him how much each one had increased over the past year, between the guaranteed cash value increase and the dividends. One plan had gone up the previous year by more than two and a half times our annual premium (which stays constant throughout the life of the policy). And nine years from now, when I turn sixty-four, that plan is projected to increase by around five times the annual premium. 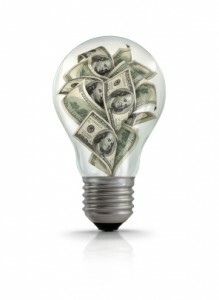 “I think the biggest thing is the ability to leverage your own money in a way that is very safe and secure. B.O.Y. is a very good vehicle that allows you to have some predictable growth and then be able to leverage that money while still getting that growth. 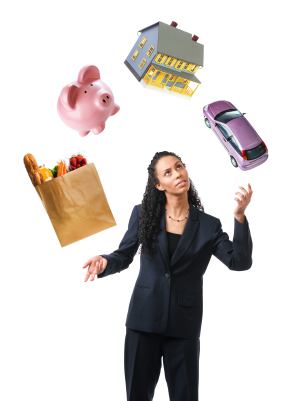 And when you look at buying cars or at doing this or that-where does the money come from? Well, I either have to pull it out of savings or investments and pay cash, or I’ve got to go borrow money and then somebody else is making money on that money. That’s when the light bulb went on. It just really seemed like a vehicle that lets you live your life and make the kind of decisions you make every day, knowing that you aren’t putting a portion of every check into a banker’s pocket and the rest into the equity of whatever it is you want to acquire, whether it’s a car, or a boat, or a timeshare, or a long-term investment, like our cabin is for us. The bottom line is that Bank On Yourself is about knowing the money will be there when you need it. A Bank On Yourself Authorized Advisor (a life insurance agent with advanced training on this concept) can show you the details and explain the nuances of using your plan for college expenses. Just fill out the simple Analysis Request Form today.